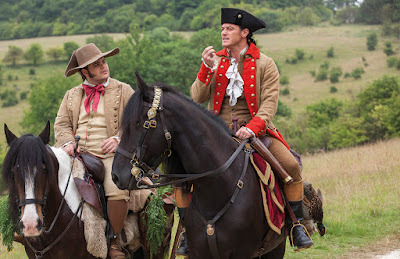 I had high expectations for this version of Beauty and the Beast, despite knowing it could go quite wrong. Thankfully, ever so thankfully, I fell in love with it and now know it will be one of those movies I will watch over and over again and won’t be bored. The live action of Beauty and the Beast stays quite closely to its animation counterpart. Surprisingly, most scenes had the actors/actresses mimic the actions of the animated characters, which I thought it was clever touch of detail and I much appreciated. I loved Emma Watson in the part of Belle. She displayed the courageous and steadfast nature of Belle, and it was just so believable to see her as the character. Watson isn’t an amazing singer, but her voice blended sweetly with the songs and was supported well by the rest of the cast. She was beautiful in this role and the chemistry between Dan Stevens and herself were great to watch. The romance between the two has always somewhat been controversial. A lot of debate regarding Stockholm Syndrome and Beauty and The Beast has arisen since the animation, but the movie portrays the importance of choice and self-will, which I really liked. 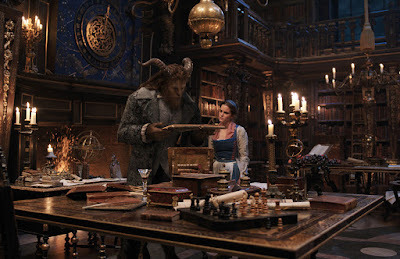 The one aspect this live action does better than the animation is conveying the relationship progress between Belle and the Beast. There is a lot more banter between the two, with the two making jokes and sharing their love for their different interests. It made the romance more realistic and believable - you can’t help but root for them. There are certain scenes that are added and some songs that are changed, but it doesn’t take away from the story and wasn’t something drastic that I felt like wasn’t necessary. Josh Gad as Lefou was a standout character for me, with his voice and humour. I also like that they adapted his character to include diversity - despite the controversy around his role. Favourite musical number would have to be Belle for its rich sound and the strength in the singing from everyone in the song. Be My Guest was probably the most satisfying to watch on screen, with the extravagant CGI effects, that made the song all that more fun. If you haven’t seen the movie yet, seriously go and watch it. It was amazing and I have been repeating the soundtrack for the past 2 weeks since watching it.